Lake Country (Winfield & Oyama) BC, Canada is surrounded by farmer's markets, fruit stands and wineries. The agricultural destination is also a popular adventure destination neighbouring three major lakes - Kalamalka Lake, Wood Lake and Okanagan Lake. Activities most enjoyed in Lake Country (Winfield & Oyama) in the Okanagan Valley and the surrounding areas include wine touring, golfing, camping, hiking, fishing, canoeing, kayaking, water skiing, kite surfing, houseboating, mountain biking, zip lining, dirt biking, hiking, atving, birdwatching, horseback riding, and cross country skiing and snowmobiling. A few of the more popular activity and sightseeing park and trail destinations located in Lake Country (Winfield & Oyama), British Columbia and the surrounding areas includes Beasley Park, Gable Beach Park, Jack Seaton Park, Beaver Lake, Doreen Lake and Island Lake, Kaloya Regional Park, Whiskey Cove Beach, Spion Kop Trails, Pioneer Park, Okanagan Lake Beach Trail, Oyama Isthmus Trail and the Reiswig Regional Park. 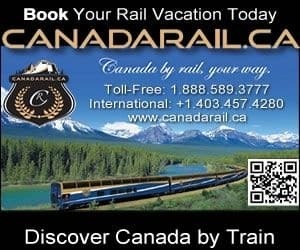 The most visited sightseeing attractions, art galleries, historical sites and cultural venues in and around Lake Country (Winfield & Oyama), British Columbia include the Creekside Theatre, Lake Country Museum, Art Walk, Lake Country Art Gallery, Kangaroo Creek Farm, and many art galleries. Travel services important to travelers in and around the community of Lake Country (Winfield & Oyama), BC includes accommodations (hotels, motels, inns, vacation homes, cottages, resorts, lodges, bed and breakfast, hostels), tours, campgrounds, pubs, restaurants, laundromat, gas stations, gift stores, liquor stores, grocery stores, wineries, breweries, farmer's markets, coffee shops, cell service, internet, banks and transportation services including taxi, bus, marina and the Kelowna International Airport. Explore Lake Country (Winfield & Oyama), Okanagan Valley, Canada Travel Guide for Accommodations, Attractions and Adventure. eh! Plan to Visit Lake Country, BC, Canada today.